MANHATTAN (CN) — A federal judge dismissed claims Monday that the best-selling novel “A Light Between Oceans” and the movie based on it violated the unproduced screenplay a man copyrighted in 2004. Joseph Nobile brought the complaint last year, accusing Margot Louise Watts, who wrote “The Light Between Oceans” under the pen name M.L. Stedman, of cribbing her best-selling debut novel from a screenplay that had passed the desk of her writing coach. Co-defendant Simon & Schuster published “The Light Between Oceans” in 2012. More than 23 million copies have been sold and it stayed on The New York Times best-seller list for more than two years. In 2016, co-defendant DreamWorks made it into a movie starring Michael Fassbender. The film has made about $26 million on a $20 million budget. U.S. District Judge Katherine Forrest found too many differences in too many elements for Nobile to claim “substantial similarity” between the works, citing the 1996 Second Circuit case Williams v. Crichton. “In making a finding of substantial similarity, the court is required to examine similarities in ‘total concept and feel, theme, characters, plot, sequence, pace, and setting,’” Forrest wrote. She considered all of them. 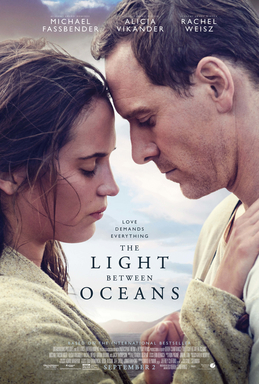 “The Light Between Oceans” is a romantic period drama about a childless couple who reach a moral crossroads when a rowboat containing a newborn baby and a dead man washes ashore. Nobile claimed that he had worked for more than a decade on a screenplay about a couple who find a pregnant woman on their island. Nobile set his story on an island off the coast of Ireland. Australian-born Watts put her characters in a lighthouse island off the coast of Australia. The couples in both stories had suffered multiple stillbirths, and the wives were still lactating when destiny intervened. The child in Watts’ story washes ashore in a boat with a dead man, her father. Nobile has the mother die in labor after her boat washes ashore. Nobile claimed that Watts, a former in-house intellectual property lawyer for liquor conglomerate Diageo who is famously secretive of her background, hired a professional script reader as a writing coach. He said that the coach may have seen or had a copy of Nobile’s screenplay and passed along the ideas in it to Watts. “This inference is further strengthened by Watts’ evasive and secretive behavior, notable for a first-time author of an acclaimed novel,” Nobile said in his complaint. Forrest agreed, finding “no substantial similarity in plot, sequence, or pace,” similar but fairly abstract themes of birth and childrearing decisions, and key plot points that are written very differently. For example, in the screenplay, a laboring woman washes ashore, and in the violent scene that follows, the protagonist untangles the umbilical cord and severs it with his teeth — while the woman is already dead in “The Light Between Oceans” and the scene is peaceful. Forrest also found the settings different. The screenplay is set on a populated Irish island, while the novel is set on an isolated Australian island and on mainland Australia. Nobile’s law firm did not immediately return an email seeking comment.